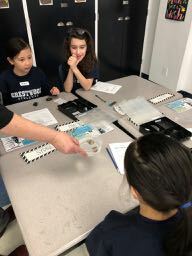 On Monday, the grade 4 students participated in “Don’t Take Rocks for Granite”. 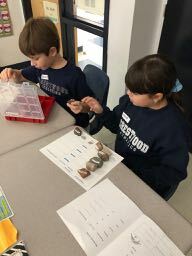 The students acted as geologists studying the three kinds of rocks, as well as the common minerals found in Ontario. 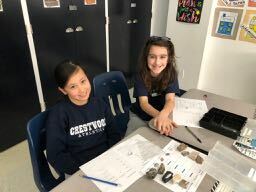 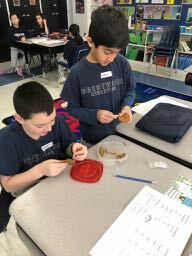 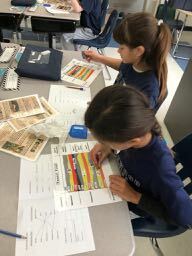 They learned how rocks move through the rock cycle, for example, igneous and sedimentary rocks morph into metamorphic rocks and the minerals that make up the items we use on a daily basis. 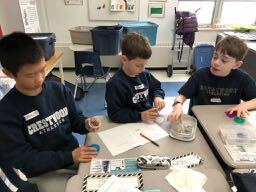 The students had a great time exploring all the materials brought in and are looking forward to learning more about rocks and minerals in our unit.